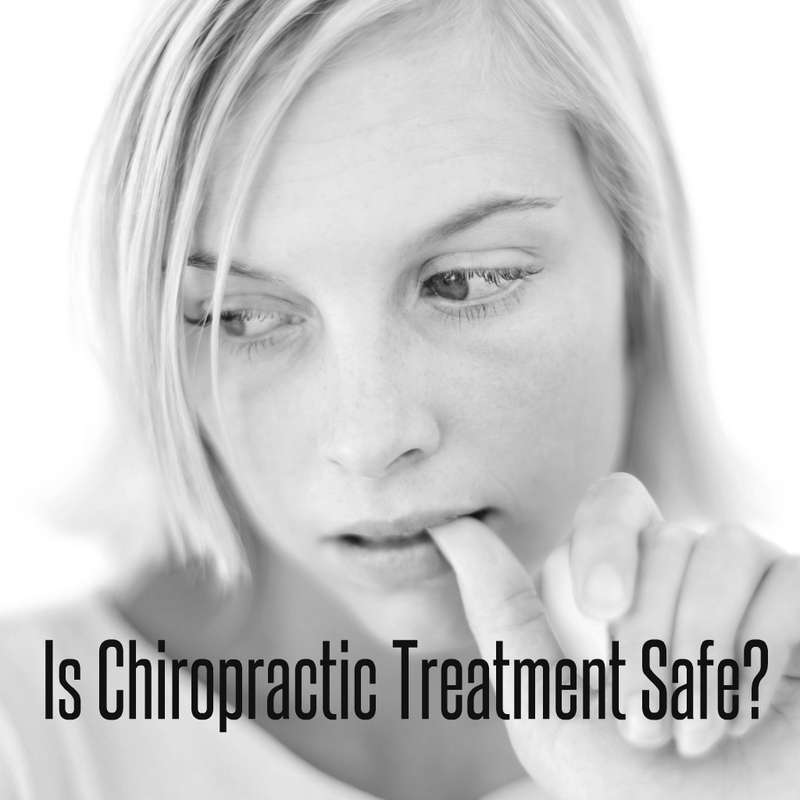 Is Chiropractic care safe? Generally, very much so! Chiropractic is widely recognized as one of the safest, drug-free, non-surgical healthcare approaches available for the management of neuromusculoskeletal complaints. Even with such an enviable safety record, it must be recognized all health interventions carry risk. Despite what some sensationalist media reports may suggest, the risks associated with Chiropractic are generally considered to be very small. Many patients feel relief instantly following Chiropractic treatment. Some can feel mild soreness, aching or stiffness; a little bit like you have just been to the gym for the first time in a while. This feeling is typically very short lived. Neck pain and some types of headaches are commonly treated through precise neck manipulation, which Chiropractors may call a neck adjustment. This can often help to improve joint movement in the neck, improving range of motion (how far you can move your neck) and reducing muscle spasm. This can relieve pressure and tension. Neck manipulation, when performed by a skilled professional such as a registered Chiropractor, is a remarkably safe procedure. It must be acknowledged that some reports have associated high-velocity upper neck manipulation with a certain type of stroke (or vertebral artery dissection). Recent evidence suggests that this type of artery injury often takes place spontaneously in patients who have pre-existing arterial disease. These dissections have been associated with everyday activities such as turning the head while driving, swimming, or having a shampoo in a hair salon. That said we don’t yet have the data to say definitely that one does not cause the other. If you are seeing your Chiropractor with upper neck pain or headache, be very specific and detailed with describing your symptoms. A thorough patient history coupled with an appropriate clinical examination will aid your Chiropractor in offering the safest and most effective approach for your case. This may involve referral to another health care provider. When evaluating the risks of any health care procedure, it is important to look at them in comparison with other common treatments available for the same condition. In this regard, the risks of serious complications from spinal manipulation for conditions such as neck pain and headache compare very favourably with even the most conservative care options. For example, the risks associated with some of the most common treatments for musculoskeletal pain, such as over-the-counter or prescription nonsteroidal anti-inflammatory drugs (NSAIDS) and prescription painkillers- may be significantly greater than those of chiropractic manipulation. What to do if you would like to see a Chiropractor? Should you wish to seek help from a Chiropractor you may do so without a medical referral. If you have any questions or concerns make sure to raise them with the Chiropractor and if you don’t feel you have been given appropriate answers then let the Chiropractor know. If you still don’t feel you have obtained appropriate answers then seek another opinion. There should be an open discussion of what treatment is proposed, what risks (and their likelihood) may be associated with the proposed treatment (including any risks of not treating) as well as discussion of other possible alternatives for treatment. Should you choose to proceed with care this discussion (legally referred to as informed consent) should be documented. A good health professional in any discipline should be happy to address any questions to allow you to make an informed choice. Should you wish access to payment from Medicare under the Chronic Disease Management (CDM) scheme (what used to be referred to as Enhanced Primary Care or EPC), from Workcover or DVA you may require a referral from your GP. When consulting with the Chiropractor make sure to mention any previous medical history you have, what medications and supplements you may be taking and ideally bring any previous imaging studies (X-ray, CT, MRI) and relevant medical testing results if performed (Bone density scans, blood tests etc). A good Chiropractor will also suggest an open dialogue with your usual GP to help ensure coordinated and safe care for the best health outcome for you. If you live in Ipswich and need a Chiropractor, give Booval Chiropractic a call today. Healthy spine, Healthy life! In studies that looked at medical treatment and compared it to the benefits of chiropractic treatment, it was discovered that chiropractic treatment won the day.